London: Eyre and Spottiswoode, 1888. First manuscript facsimile edition, reproduced from Richard Doyle’s original text. Slim quarto, original cloth, patterned endpapers, illustrated. Near fine in the original dust jacket with some chips and tears. 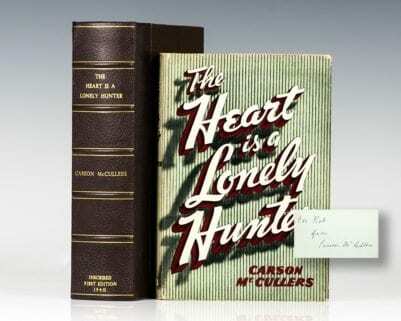 Any dust jacket from the 1880’s are rare; this is the only example we have seen or heard of. Rare and desirable. The story of Jack, the intrepid boy whose courage and ingenuity defeated a host of many-headed giants, has been told to children for hundreds of years. 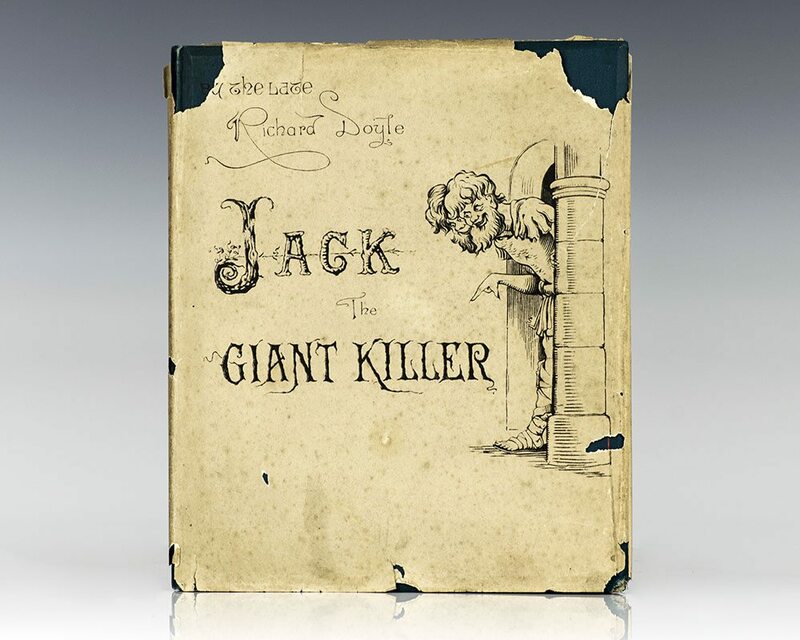 In 1842, when he was just 18, Richard Doyle, whose natural talent for draftsmanship was matched by imaginative invention and a passion for legend and the grotesque, created a picture-book version of Jack the Giant Killer, with hand-written text and a watercolor within a pictorial border decorating every page. “Doyle was one of the most popular Victorian illustrators of fairy stories… [he] always possessed an extraordinary power of fanciful and imaginative draftsmanship and sense of the grotesque. His boyhood fascination with fairy stories stayed with him all his life, and stimulated his greatest book illustrations” (Dalby, 10). 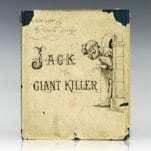 In 1842, when Doyle was only 18 years old, he created this manuscript, both text and illustrations, of Jack the Giant Killer; in 1851, he finally published a book with that title. However, the text was substantially revised and illustrated anew. This manuscript facsimile edition was published in 1888, after Doyle’s death, with the original story and illustrations. 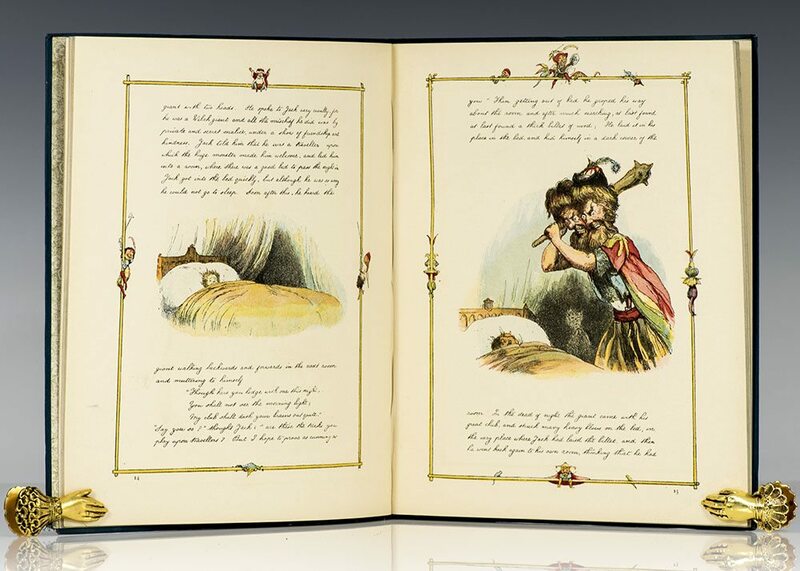 The volume is “astonishing for its precocity” (Victorian Illustrated Books).